Dan loves fire! It’s a fact! 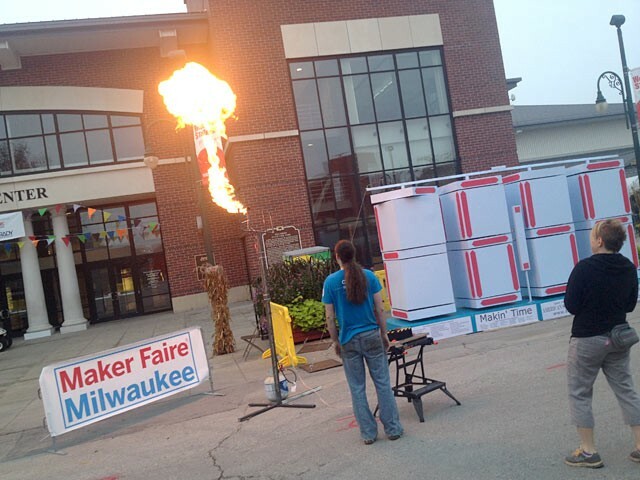 For Maker Faire Milwaukee we made a fire poofer which was triggered by pressing a button. 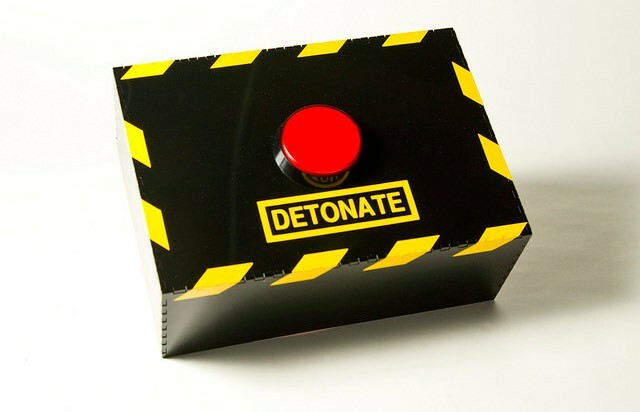 Tons of kids (and adults) pressed that button over the course of the weekend. While Dan the Blacksmith (and John McGeen from BBCM) were the primary builders of the fire poofer, I did the trigger electronics and enclosure. I’ve written up a blog post with lots of images explaining the (somewhat rushed) build of the device. It’s Arduino powered, has some relays and a beeper, and looks semi-nefarious. Read more about The Detonator. 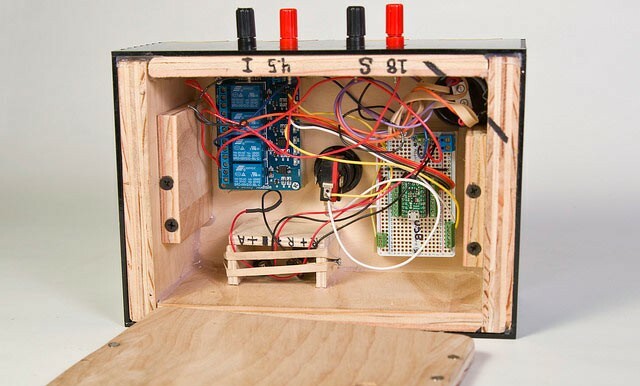 This entry was posted in arduino, Maker Faire, Maker Faire Milwaukee and tagged detonator, makerfairemke. Bookmark the permalink.